UPDATE (11-22-18): "His father is Boko Haram, but he is still my child." 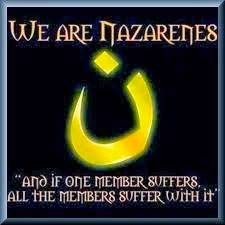 UPDATE (10-21-18): 100 ISIS Terrorists Caught in Guatemala as Central American Caravan Heads to U.S.
A few moments ago, we asked almighty God to give us, in his mercy, “what prayer does not dare to ask.” We know that God “wishes to give us more than forgiveness, more than our desires, more even than what we know to ask, or dare to ask.” But what does this mean? What is it that prayer does not dare to ask? The answer to this question is, I think, hidden within the text from the Letter to the Hebrews: “For it was fitting that he, for whom and through whom all things exist, in bringing many children to glory, should make the leader of their salvation perfect through suffering” (Hebrews 2:10). The Greek word translated for us as “leader” can also be translated as “pioneer” or “author.” This is why Mary Healy rightly says that “Jesus is not only the cause of our salvation but also the pioneer, the one who blazed before us the difficult trail from human fallenness to divine glory. We experience nothing on the path to salvation that he did not endure before us.” If Jesus is our pioneer along the via dolorosa, does it not follow that we who are called to follow him must also make our way along the way of the Cross if we hope to be perfected in him? How often do we dare to ask for this perfect unity with Christ Jesus? 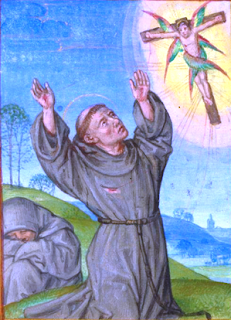 Two days ago, Mother Church celebrated the great witness of her sons who was brought to glory through perfection in suffering: Saint Francis of Assisi. 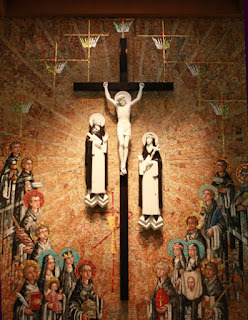 (You will forgive me, I hope, for speaking of a Franciscan in a Dominican convent with so many Dominica Saints before us; having studied with Franciscans, I know more about Saint Francis than I do about Saint Dominic.) It was he, of course, who received the sacred stigmata – the five holy wounds of the Savior – upon his body just two years before he entered into the joy of his Master (cf. Matthew 25:23). What is perhaps less well known about Saint Francis is that his reception of the stigmata followed two requests he asked of God. My Lord Jesus Christ, I pray you to grant me two graces before I die: the first is that during my life I may feel in my soul and in my body, as much as possible, that pain which You, dear Jesus, sustained in the hour of Your most bitter passion. The second is that I may feel in my heart, as much as possible, that excessive love with which You, O Son of God, were inflamed in willingly enduring such suffering for us sinners. With these two requests, the Seraphic Father asked to share completely in the Cross of Christ. Is this not what, for most of us, prayer does not dare to ask? …the blessed servant of the Most High was filled with admiration, but he was unable to understand the meaning of the vision. He was inflamed with joy by the loving sweetness of the Seraph’s glance, which was immeasurably beautiful, yet he was terrified by the consideration of the cross to which he was nailed and the bitterness of his passion. He got up feeling sad yet happy at the same time, if this is what we call it, and joy and sorrow were intermingled in him… He could not understand anything specific and was engrossed with the uniqueness of the vision, when the signs of the nails began to appear on his hands and feet, just like the ones on the man he had seen crucified above him just a short time before. If we happened to muster up the courage to ask to feel in our bodies and in our souls all that Jesus experienced on the Cross, would we welcome these signs of the Savior’s love? The early followers of Saint Francis looked upon them “pearls, like most precious gems” that made him “more wonderfully rich in honor and glory than any other man…” Even so, the Poverello kept the stigmata as secret as he could. Dear Sisters, to be so closely conformed to Jesus Christ that we feel in both body and heart all that the Lord endured for us because of his love, is this not what prayer does not dare to ask? And yet, is this not precisely what you and I have been called to share? Is this not what we have promised to seek? 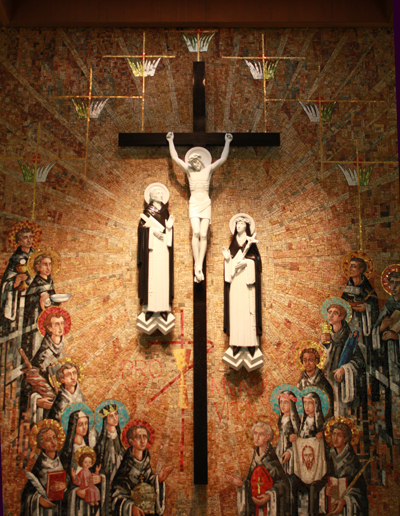 Let us, then, not shy away from the Cross, but let us – with Saint Francis – seek to embrace it and so be perfected through the fire of ecstatic love. May the Lord, in his mercy, perfect us and bring us to glory. Amen. Collect of the Twenty-seventh Sunday in Ordinary Time, Roman Missal. Anthony Esolen, The Beauty of the Word: A Running Commentary on the Roman Missal (New York: Magnificat, 2012), 184. Mary Healy, Catholic Commentary on Sacred Scripture: Hebrews (Grand Rapids, Michigan: Baker Academic, 2016), 62. Saint Bonaventure, The Major Life of St. Francis, 9.2. The Little Flowers of St. Francis, 190-191. Thomas of Celano, The First Life, 2.94. We have before us today the great mystery of marriage, “the one blessing not forfeited by original sin nor washed away by the flood.” To our great detriment, we give too little consideration to the fundamental importance of marriage, both for the spouses and for society as a whole. By the very fact of referring to humanity before the fall, Jesus is implying that from now on, God’s original intention is the true standard for marriage and all other human relationships. He is saying, in effect, that the concession in Deuteronomy no longer applies because humanity is no longer captive to sin, hardness of heart, and the resultant family breakdown. Now there is a new reality at hand – the kingdom of God – with a new power to live and experience what God intended from the beginning. As Jesus has already suggested (Mark 8:31-9:1), this new possibility will come about through his paschal mystery. Marriage, then, is intimately connected with the mystery of the Lord’s Cross, something too infrequently considered by spouses. 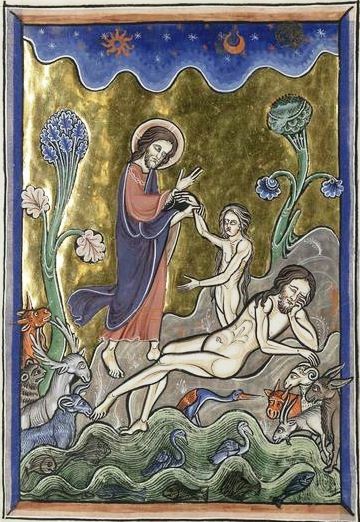 Even in the beginning, when woman was made from a rib in the side of the sleeping man, that had no less a purpose than to symbolize prophetically the union of Christ and his Church. Adam’s sleep was a mystical foreshadowing of Christ’s death, and when his dead body hanging from the cross was pierced by the lance, it was from his side that there issued forth that blood and water that, as we know, signifies the sacraments by which the Church is built up. Put more simply, just as the wife of Adam was brought forth from his side, so, too, was the Bride of Christ, the Church, brought forth from the side of Christ, the second Adam. This is what Saint Paul speaks of as “a great mystery” (Ephesians 5:32). Because the mystery of marriage is so closely joined to the mystery of Christ, marriage enjoys a high and lofty dignity. Together, husband and wife are called to reflect for all the world the love of Christ for the Church. Through this Sacrament the Holy Spirit brings it about that, just as Christ loved the Church and gave himself up for her, Christian spouses also strive to nurture and foster their union in equal dignity, mutual giving, and the undivided love that flows from the divine font of charity. In this way, uniting divine and human realities, they persevere in good times and in bad, faithful in body and mind, remaining complete strangers to any adultery and divorce. The true development of conjugal love and the whole meaning of family life, without diminishment of the other ends of Marriage, are directed to disposing Christian spouses to cooperate wholeheartedly with the love of the Creator and Savior, who through them increases and enriches his family from day to day. Therefore, trusting in divine Providence and developing a spirit of sacrifice, they glorify the Creator and strive for perfection in Christ, as they carry out the role of procreation with generous, human and Christian responsibility. From the example of Christ Jesus, we know that there is no perfection without suffering, without the Cross. It is no wonder that the disciples, as often happens, find it difficult to digest the radical change Jesus has just instituted (see Matt 19:10). On his own authority Jesus has just taken away a concession given in the law of Moses. Why would he set this stricter standard? Surely it is not to make life more difficult for his followers. Rather, it is because through his cross and resurrection he is now giving them a new power to live according to God’s original plan for human love. They can no longer settle for less. With this pronouncement on marriage, Jesus brings his teachings on suffering, self-denial, humility, and service into the most intimate sphere of human life. It is in the daily challenges of family relationships, in the struggle to live out God’s design for human love – especially in lifelong fidelity to another fallen and imperfect person – that ‘taking up the cross’ (Mark 8:34) has its most concrete application. But equally it is here that those who obey Jesus’ new law will be able to experience the coming of the kingdom with power. Let us, then, never doubt the truth of Jesus’ words or question their practicality. Let us instead trust that he will give us the strength to follow his teachings if we but seek and cooperate with his grace. Let us ask him to give us so great a love for his Cross that we embrace it however it comes to us, so that, united with his sufferings, we, too, may be perfected and brought to glory (cf. Hebrews 2:10). Amen. Mary Healy, Catholic Commentary on Sacred Scripture: The Gospel of Mark (Grand Rapids, Michigan: Baker Academic, 2008), 197. Saint Augustine of Hippo, City of God, 22.17. Introduction, The Order of Celebrating Matrimony, 8-10. Mary Healy, The Gospel of Mark, 198.